Even the shadows of the islands excited me. 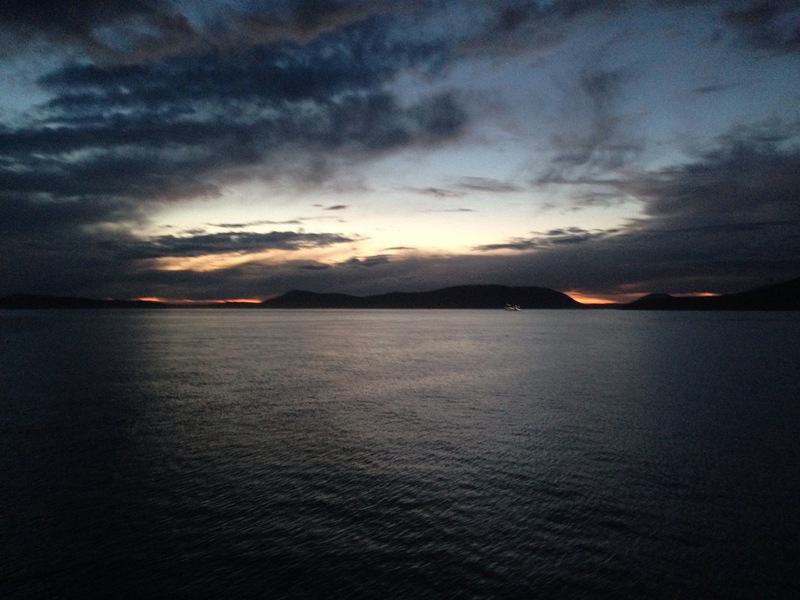 I saw the San Juans for the first time last Thursday in the dark from the deck of the ferry. 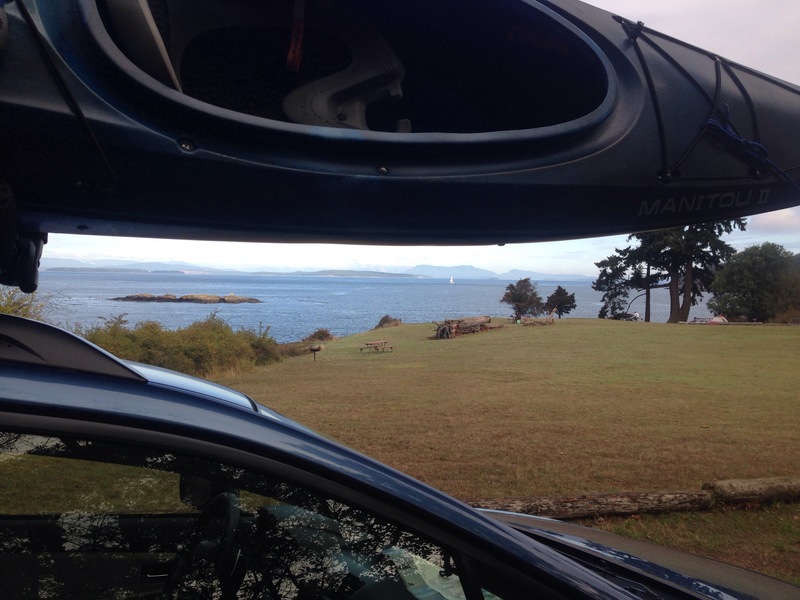 We drove across the island to San Juan county park. Our campsite was right on the water! As we set up the tent we heard something and went to investigate. Under the stars we could only see the outline of the water but could hear the incredible sound of 81 orcas passing by (which must be difficult to orca-strait). We listened to killer whales breath through their blow holes; young and old. We listened to the crack of a fireworks sound; breaching. How did we know exactly what we were listening to? Because someone else was standing by the beach listening with us and she happened to be a naturalist who gave us a run down on the whales and their chase for the salmon that they’re having to travel further to find, because both the orca and salmon are on the endangered species list. She also mentioned that their traveling, instead of protecting their area on Haro Straight in front of our campground, gave room for the mammal eating killer whales to invade. Not the most comforting thing to hear as a kayaker. But the three orca pods were wonderful to hear. They protected our waters tonight.